From Aries to Pisces, Create the Life You Want--Based on Your Astrological Sign! "There were sections that I read that were such ‘aha’ moments that made me want to keep reading. If you’re interested to see how you can use your astrological sign to live your best life, be sure to check out Astrology for Happiness and Success." 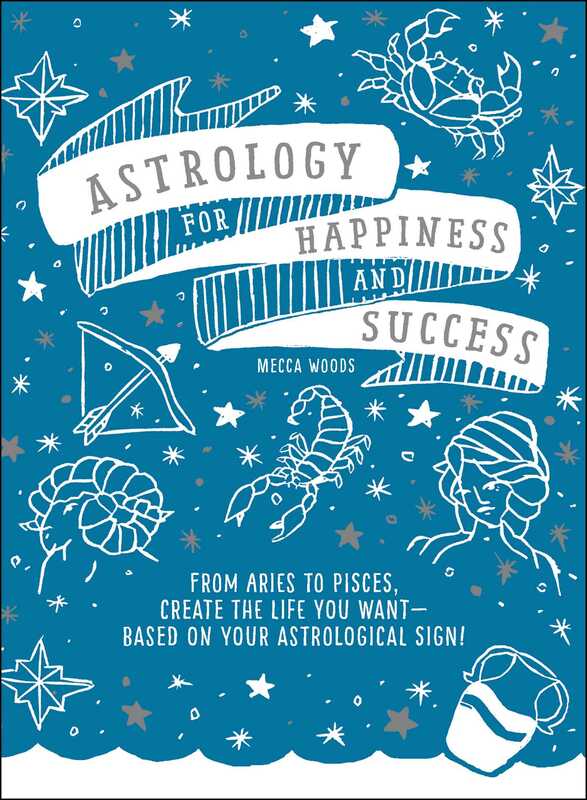 "Astrologer Mecca Woods has created the perfect star-inspired guide to life. Astrology for Happiness and Success is a beginner-friendly guide for anyone looking to dip their toe into astrology and thorough enough for fans of the practice who already know the basics. Navigating life, especially during times like these can be tough, but sometimes you just need to look to the stars for a little help." "The author provides real context and direction instead of simple generic traits normally associated with astrology. One of my favorite books in quite a while. I highly recommend picking up a copy." "Mecca Woods’ new book came into my life the exact moment I needed it. This book helped put me back on course. That’s what I love about Woods’ book…it gives you small, manageable approaches to tackling life. Gaining perspective … is the beauty behind astrology … Paying attention to the stars helps ground me. This book helped me really … pay attention to … how much I appreciate guided approaches … in accomplishing daily tasks with a bit of help from the stars." "Astrology for Happiness and Success has everything you would expect from an astrology book. One of my favorite things in Astrology for Happiness and Success is that they also include affirmations for each Sun sign. I’ve said it before and I will say it again affirmations are so important in magick. They allow one to focus on goals and desires, and shift them into reality. This book is chock full of information on every Sun sign and what it means for your personal astrology, and your magick." "This stocking stuffer will be a resource your friends and family will continue to go back to. Must have!" "The lucky person who receives this will be pleased – and sitting under the tree poring through it immediately." "A comprehensive breakdown of every sign … .The book is a must-read for anyone just getting interested in astrology, but even as someone who is more advanced, I found a ton of useful information. This is a reference I’ll be coming back to for years." "What this quick-read does do is give you the confidence you need to push your career foward and cultivate meaningful relationships based on the inner-workings of your astrological sign."